Add big Super Hero excitement to your holidays when you hang this Christmas tree ornament of Ant-Man. 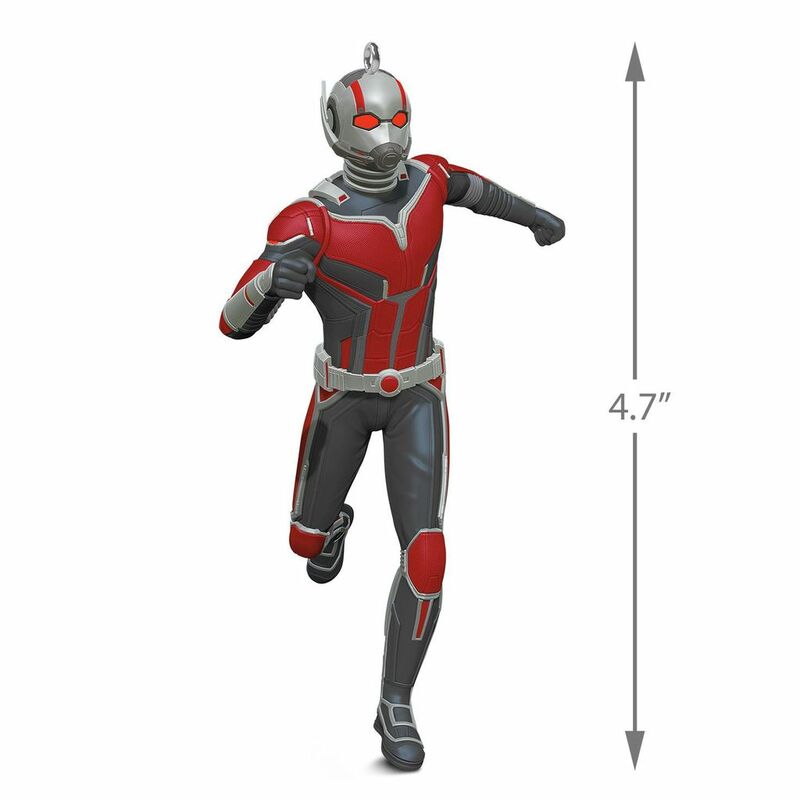 Design features Scott Lang in his incredible shrinking suit as he teams up with Hope van Dyne (The Wasp) in the action-packed new movie "Ant-Man and the Wasp." Coordinating Wasp ornament sold separately. Plastic Christmas tree ornament is lead-free and measures 3.28" W x 4.7" H x 3.32" D.